In theory, flats are the perfect cloth diaper method for any family. In practice, flats are not the perfect cloth diaper method for this family. But, my experience matters very little in what will ultimately be the best choice for your family. I just said family 3 times in my intro. My flat cloth diaper use is limited to organic cotton flats from Target, IKEA flour sack towels and GeffenBaby Hemp flats. I can tell you which one was better by far, GeffenBaby. Giving you 3 brands, vastly different brands I might add, and telling you the obvious is not going to help you decide which flat cloth diaper to choose. Here’s where my amazing colleagues come to the rescue. Maria from Change-diapers.com has reviewed GeffenBaby Hemp Flats, Flour Sack Towels, and Diaper Rite Unbleached Flats. Maria uses lots of photos in her reviews so you really get an idea of how the diaper will look on your child. I love that she measures everything, so if your baby is outside the range of normal (whatever that is!) check her reviews for a clear understanding of each diaper. GeffenBaby flats are very soft! The flats are composed of 60% hemp 40% organic cotton, same as their prefolds. In my review of the GeffenBaby Prefold I share with you one of the few times I have trusted a prefold at night on a toddler! I had a similar reaction to the IKEA flour sack towels. At first I thought they were so thin and they were huge. After a wash and dry they also were tighter and smaller- although still very large. Flour sack towels are a great buy because 1) you always have a diaper handy if you are in a pinch and 2) they make great clean up towels. We have at least one spill every meal and my towels have performed nicely. Flour sack towels are inexpensive, too and you can purchase them at almost any big box grocery/shopping center. I’m right there with you, Maria! I’ve tried to fold a flat before diaper changes and have it all ready but it still gets messed up! Make sure and click all the read more links to see Maria’s measurements and demonstrations of different folds. All the flats I’ve mentioned so far are plain white. Easy to dye, which is fun, but no cute patterns. Imagine Baby Flats are a great choice if you want a flat with a cute design. 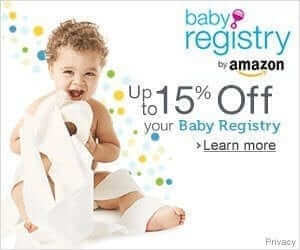 Imagine Baby is a brand created and owned by the owner’s of Nicki’s Diapers. Dirty Diaper Laundry reviewer Lara gives a great review of the absorbency, fit and design of Imagine Baby Flats. Most people will likely choose these flats for their whimsical prints, it’s a standout feature for sure. The prints do fade, especially on the unbleached cotton, and the more intricate design details become a blur. The website does make sure to advise you of this and provide visual examples to make sure no one will be blindsided, the company doesn’t use harsh dyes so you can expect a loss of color. If you want a brighter print, go for one of the bleached cotton options (butterflies or dinosaurs) as they retain their designs better than the insanely charming unbleached print of little woodland animals. read more and watch the video! Lara and Kim both noted that these are a smaller flat than other brands but the limitation comes in when doing certain folds. Anne from Zephyr Hill reviewed a lesser known brand called Eco-Dia Organic Flat diapers. As I am sitting here thinking over these brands I realized that I have tried two other brands of flats but had forgotten because they are not the typical flat. Orange Diaper Co Bamboo Terry Squares and Sustainablebabyish Bamboo Terry Flats. Orange Diaper Co squares are total awesomeness. But, you have to preorder them at the alloted preorder time so they are harder to get. Imagine 2 layers of stretchy bamboo terry serged all around. They go on like an ace bandage, stay soft and absorb better than cotton. Sustainablebabyish flats are more like a prefold in that they have 3 sections to the flat. They aren’t as stretchy as ODC but have an identical fiber makeup + an extra layer. 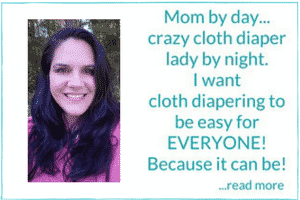 They are super absorbent and with a doubler would be solid for nighttime diapering. I’m a flats fan and Orange Diaper Co are by far my favorite! My daughter is almost 1 and a toddler square can get us through the night! Also, I’ve found that the cover you use matters little if you have folded and pinned your flat nicely. We use wool over ODC flats folded “skinny neat” and have not had poo blast out onto the wool like we did when we folded origami style. I use the Diaper Rite lg flats pad folded in OS covers and I love them . The Geffen baby flats are a little small. I would love to try the orange company squares They sound awesome. I bought a package of flats several months ago. I’ve used them a few times, but I haven’t really figured out the best way for me to fold them. Maybe I will give them another go. I do like the idea and I love that they dry so fast because I am currently only sun drying my diapers. This is a great collection of reviews. I wish I had not been intimidated by flats when I started CD’ing two years ago. My stash would have been much less expensive. I just scored a good deal on some gently used Imagine bamboo flats. I can’t wait to try them! i love flour sack towels and plan to use them on the next baby with thirsties duo wraps and flip covers. they are also great to stuff bumgenius pockets, i hate microfiber! Thanks for this!! We’ve gotten to the point where we use pretty much all AIO diapers, but I would like to make a small stash of flats and covers to have in case of emergency (like needing to hand wash). This is a great guide to different types. I tried making a few flats with some flannel blankets, but was discouraged when I realized that they didn’t work with the snappis that I had (the weave was too tight for the snappi). We ended up folding the flats and using them as extra inserts in fitted diapers. I currently use flats almost exclusively while I am working on sewing some more diapers. I use the Osocozy unbleached birdseye cotton flats and they work great for my 5 month (2 month adjusted) baby girl. I use them with Thirsties covers, and I love those. Great post! Really wanna try flats now!